* Tired of Re-writing Already: Bob Enyart tells his Real Science Radio co-host Fred Williams that he's just too tired of the constant "rewriting human history" discoveries, hitting almost monthly, one after another that falsify the secular canonical story. So find those of just the last year listed at rsr.org/squeeze (and just below). 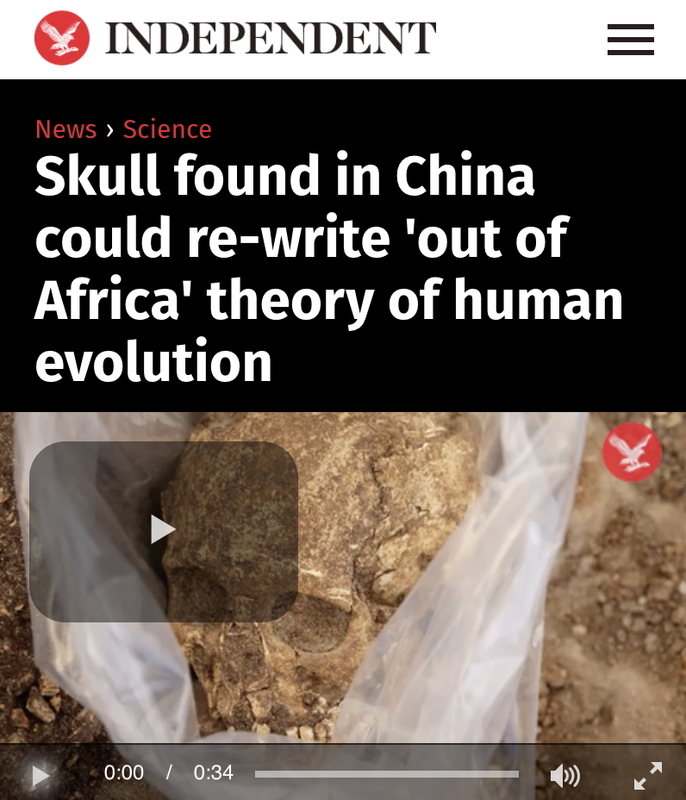 - re-date an old skull and rewrite human history with a very human skull dated at 325,000 years old and redated in the Journal of Physical Anthropology at about 260,000 years old and described in the UK's Independent, "A skull found in China [40 years ago] could re-write our entire understanding of human evolution." - And even this from Science: "humans mastered the art of training and controlling dogs thousands of years earlier than previously thought." - Long before you'd get good wings. - Protein-based ancestry claims have been contradicted by fossil claims.